Masters at Work in collaboration with PRIMITIVE INC. 12th Anniversary will be set at club Ageha. The one and only House music duo of Louie Vega and Kenny Dope. Ever since they made a debut in 90s, they have made a great success and given a huge impact on the dance music industry. Given the fact that both Louie and Kenny are too busy on their own, their performance as MASTERS AT WORK is extremely rare. After 10 years, long awaited by so many dance music fans, finally MASTERS AT WORK has come back to Japan in 2016. As Louie and Kenny pile up the sounds back to back with their 7 CDJs and 2 DJ mixers, joy and happiness exploded on the dance floor. It became the greatest party handed down in the dance music scene here, and it was chosen as a No.1 party among 12,000 parties in Japan in 2016 at a media’s pole. 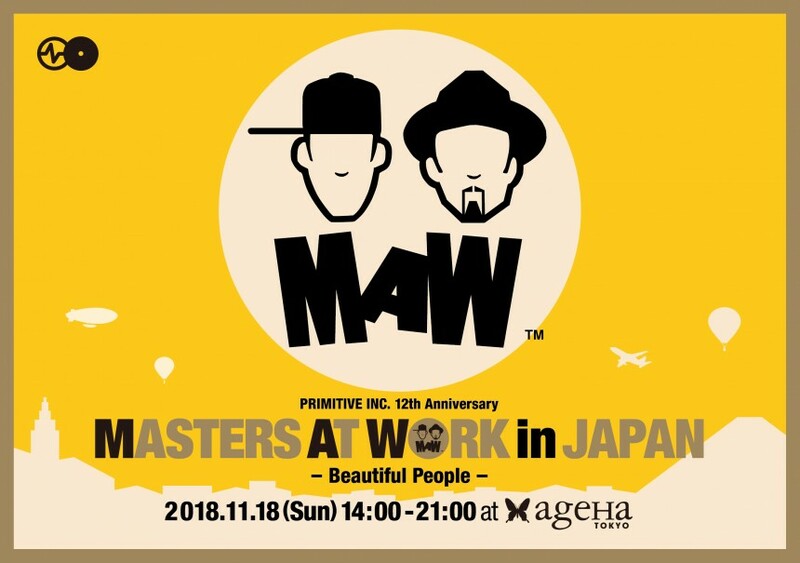 This November 18th, MASTERS AT WORK in JAPAN will be coming back to ageHa. During the daytime it extends from indoor to outdoor areas. A VIP and Kids area will be prepared for all children and adults, friends and families to fully enjoy this wonderful occasion. This party will become an unforgettable one, because it is MAW that creates timeless and irreplaceable music.